Here we are again, on the precipice of another government shutdown, where the minority party uses the budget deadline to gain attention for a political point. While the Democrats are the ones threatening a shutdown at present, Republicans have been guilty of using this same disruptive tactic many times. Senator Rob Portman of Ohio and Representative Rodney Davis of Illinois have introduced legislation that would remove the incentive to use a government shutdown as a policy bludgeon. Aptly enough, the bill is the “End Government Shutdowns Act” (H.R. 2162 and S. 918). The legislation would provide appropriations at the previous year’s levels for 120 days after the end of the fiscal year on October 1 by triggering an automatic continuing resolution. After that, if the Congress and President still had not passed the appropriation bills, the appropriations would be cut by 1 percent every 120 days. Almost everybody hates government shutdowns. They don’t accomplish anything. They don’t get our fiscal house in order and they disrupt critical government programs that have a big impact on people’s lives…As leverage in a political negotiation, they’re fool’s gold. 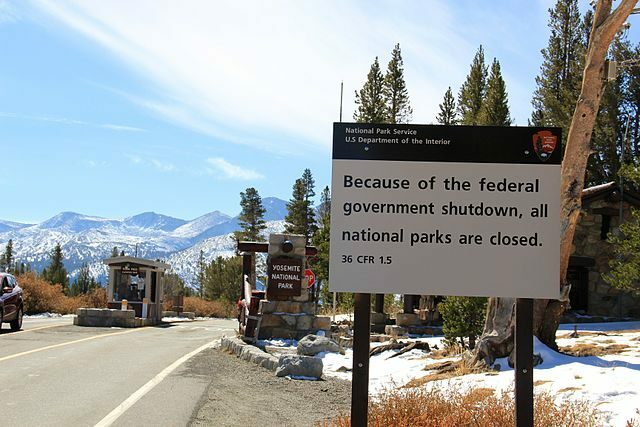 We should end government shutdowns for good. My legislation would do that, giving federal workers and their families more stability, providing lawmakers with more time to make smarter decisions for taxpayers, and ensuring we avoid disruptions that ultimately hurt our economy and working families. The amount of the budget cuts is not earth-shattering (though 1 percent of a trillion is still $10 billion – hardly chump change) but the important thing is that it would remove the incentive to delay the budget and appropriation process until the last possible moment before the end of the fiscal year to try to force through controversial changes. You could argue that the fact that the fact that the continuing appropriation is automatic would actually encourage Members to abdicate their responsibilities entirely, but the sequester should be enough incentive to ensure that they pass proper spending bills. Generally speaking, the tactic of shutting down the budget is one of noise, not substance. The proponents of the shutdown almost never succeed at accomplishing their goals, and invariably damage themselves and their own party in the eyes of the public not to mention the esteem of their colleagues. Yes, it can sometimes be irrational, but here we are again – with Congress trying to once again prove Einstein’s definition of insanity. The names and the parties will change – it will be Schumer and Pelosi this time – but the result will likely be the same. By contrast, the End Government Shutdowns Act would remove one of the key incentives for budget inaction and force Congress to consider meaningful budget reforms. There are a number of reforms proposed to restore a working budget process. We have written about reforming the authorization process, switching to a biennial budget process, changing the fiscal year to January 1, and even a transparent way to restore earmarks. Congress could adopt piecemeal reforms of unauthorized appropriations and the budget process at any time, but an ideal way to do so would be in the context of overall legislative reform by a Joint Committee on the Organization of Congress. In the past seventy years, Congress has created three bipartisan, bicameral committees to study and recommend ways the Legislature could be modernized and strengthened. These committees met in 1945-1946, 1965-1966, and 1992-1993, and each produced recommendations that reformed Congress significantly. They had the authority to examine virtually every aspect of the legislative process, including the committee system and Floor debate, both of which are central to the issue of unauthorized appropriations. Today Congress faces similar systemic challenges that have diminished it in the eyes of the public. It clearly needs reform, so what better time to create a bicameral and bipartisan reform committee than now? The 2018 election is a political jump ball – either side could hold both the House and the Senate or partisan control could be split between the two. Realistically, both sides have an incentive to do honest reform because it is highly possible that they might have to live with the results of reform as part of the political minority. One thing is for sure: Congress is not going to remove their constituents’ perception of dysfunction by playing another game of budget chicken on January 19. Congress should pass their budget for the year and get about the business of reforming itself. At the very least it should pass the End Government Shutdowns Act and create some incentives for genuine budget reform.